Includes cone, sphere, cube, cylinders, pyramid, prisms, hemisphere, and rectangular solids. Pieces range in size from 1-1/2" to 3". 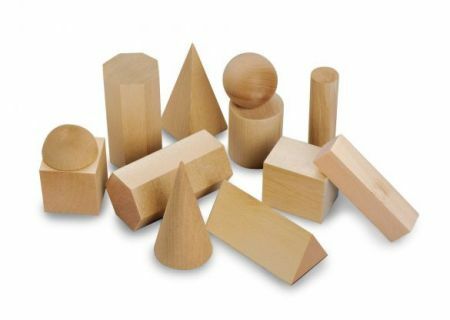 They are smooth hardwood solids for use to teach shape recognition and to increase geometric understanding.